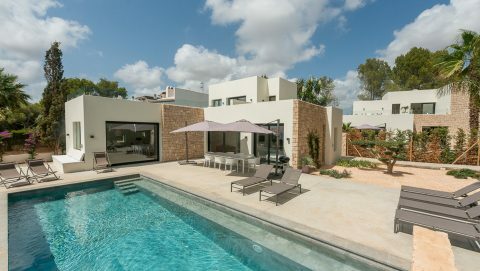 The Villa Lightning Star, surrounded by a stunning flora, is equipped with 5 bedrooms and can accommodate up to 10 people. 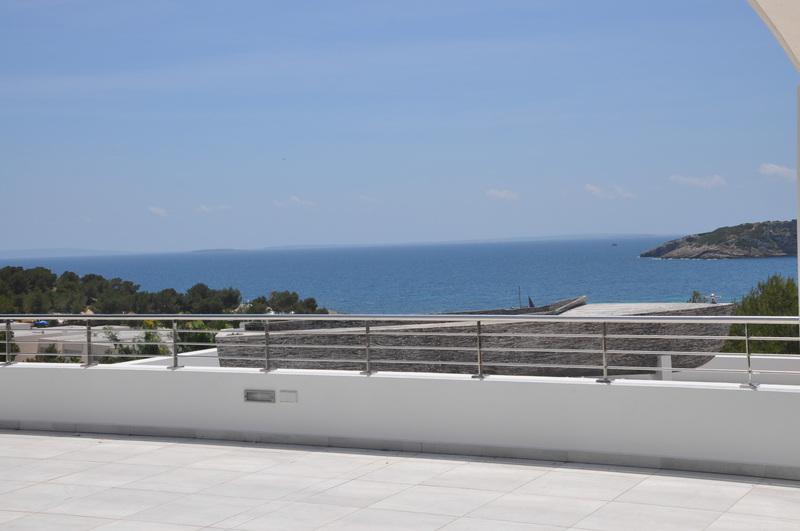 A huge rooftop terrace offers spectacular views. 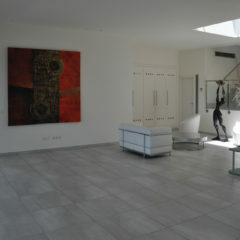 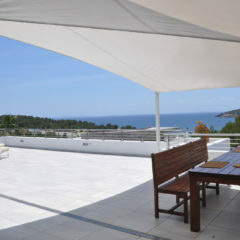 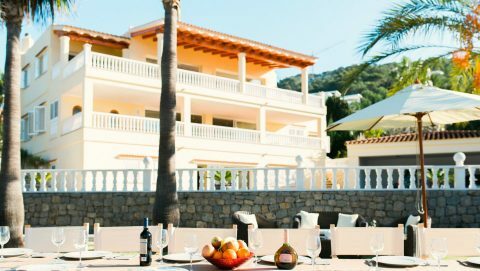 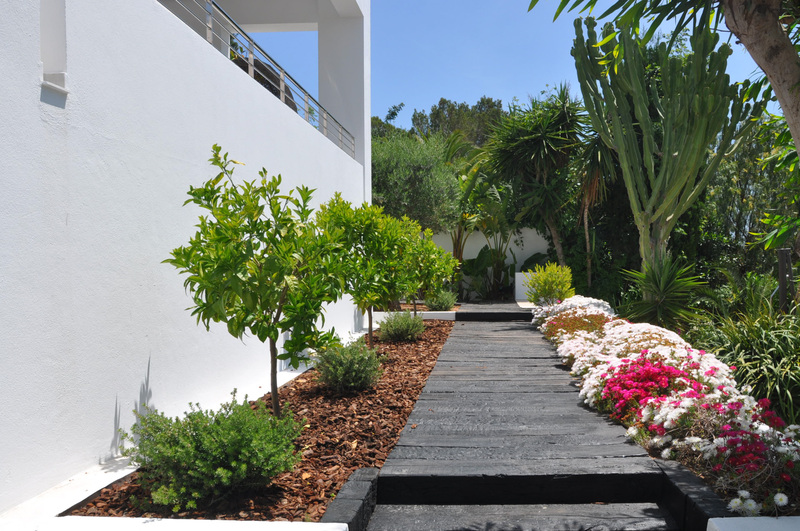 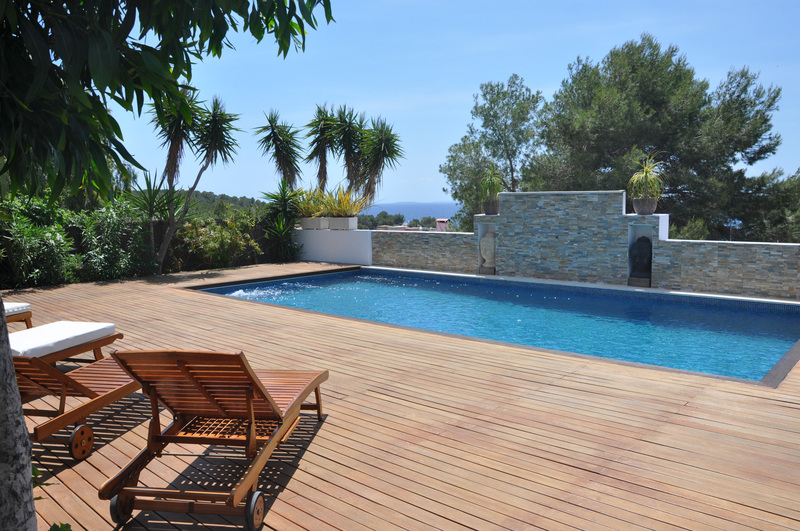 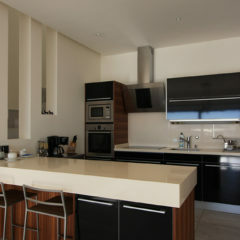 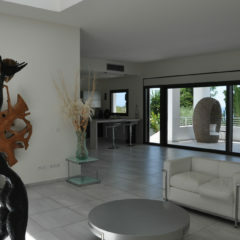 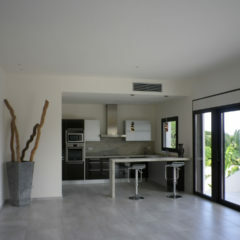 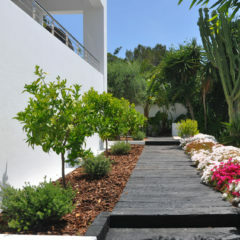 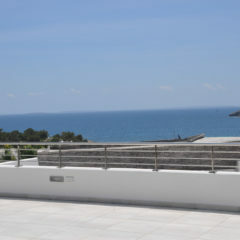 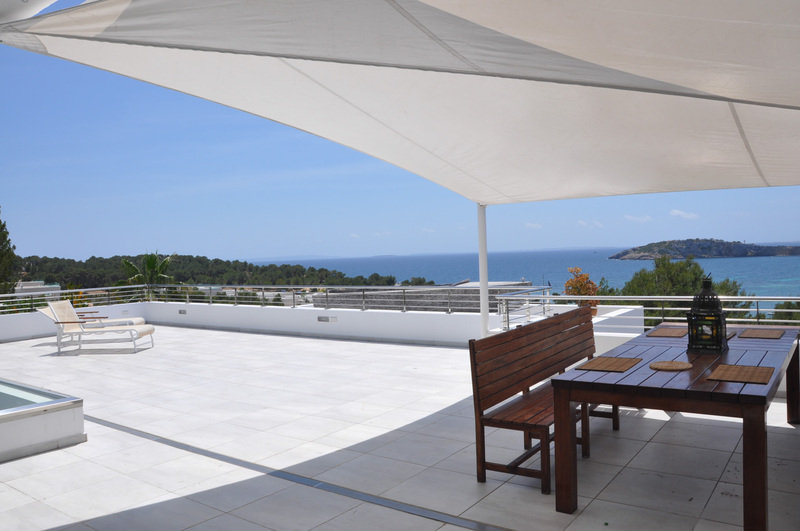 The property is located in Talamanca, a quiet place between Jesus and Ibiza town and is just 500 meters from the beach. 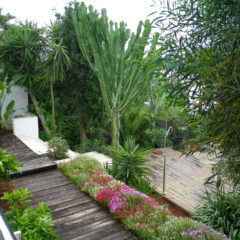 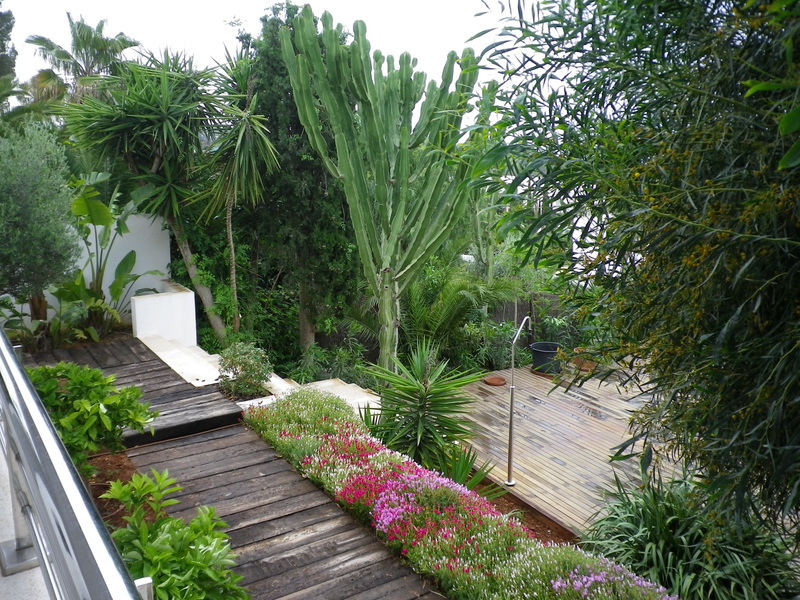 The heart of the property is the incredibly beautifully landscaped garden with its many different cacti and palm trees. 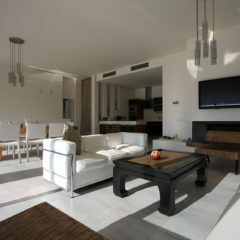 The pool and the rest area offer enough space for all guests. 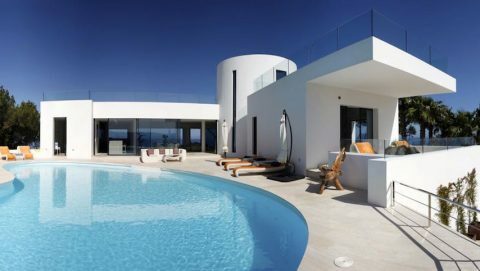 The Villa Lightning Star has five bedrooms and six bathrooms. 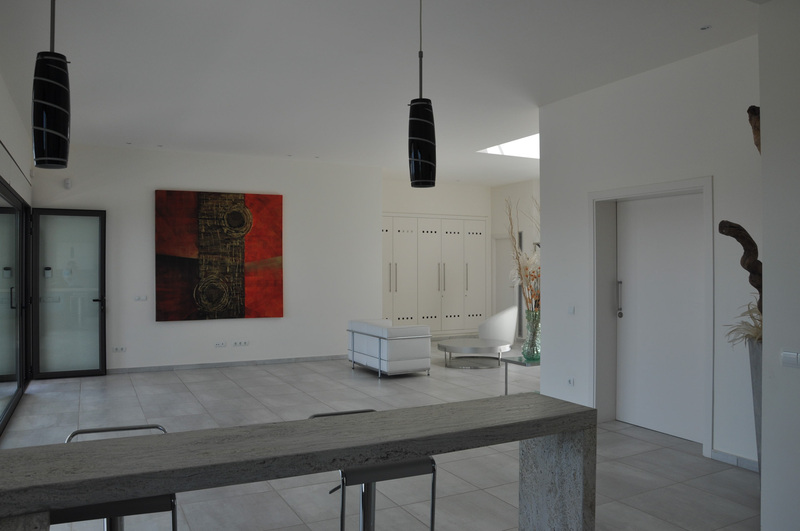 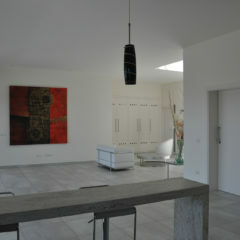 The inside of the villa is full of design classics. 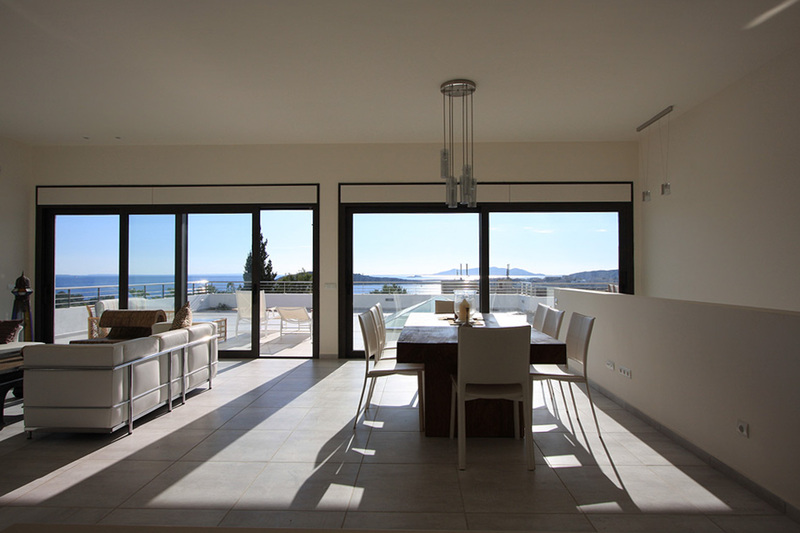 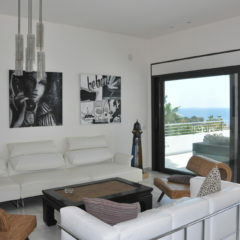 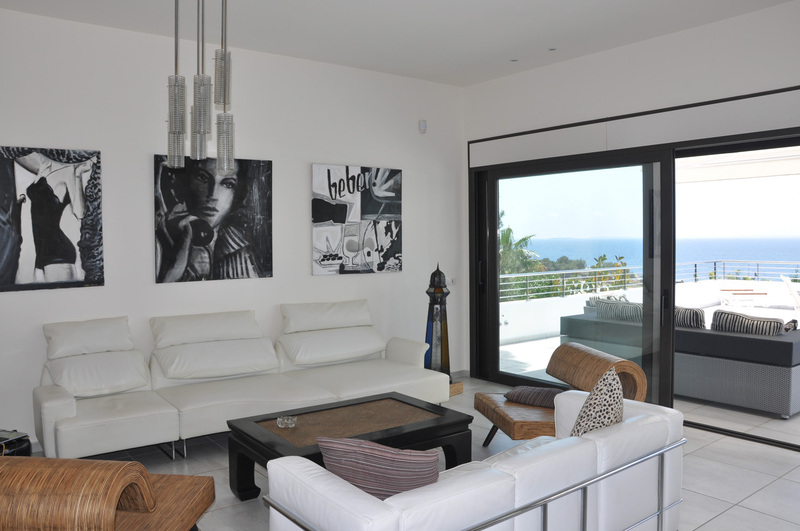 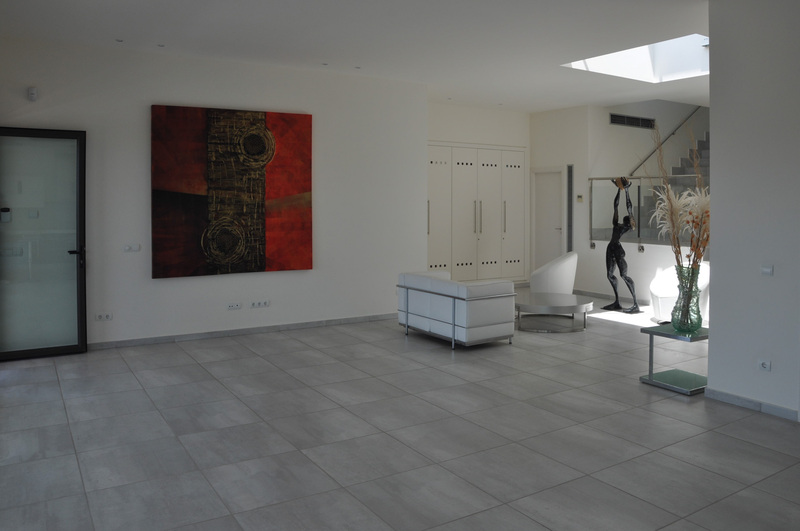 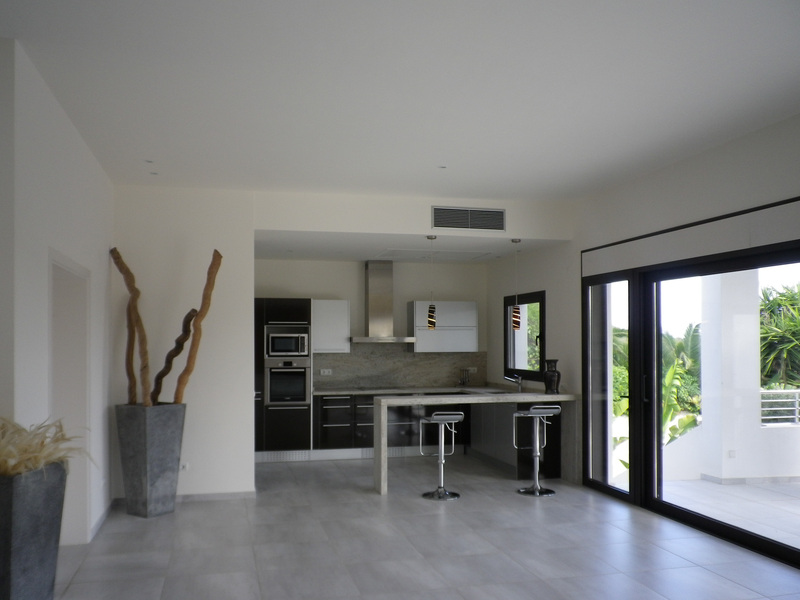 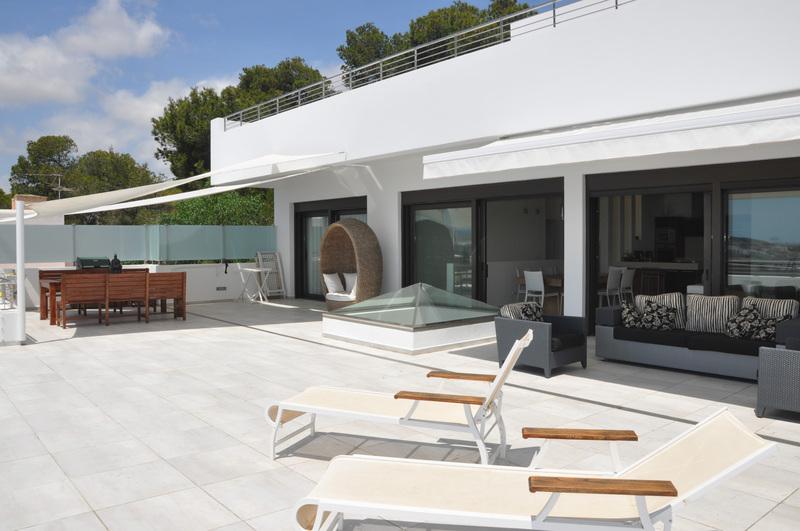 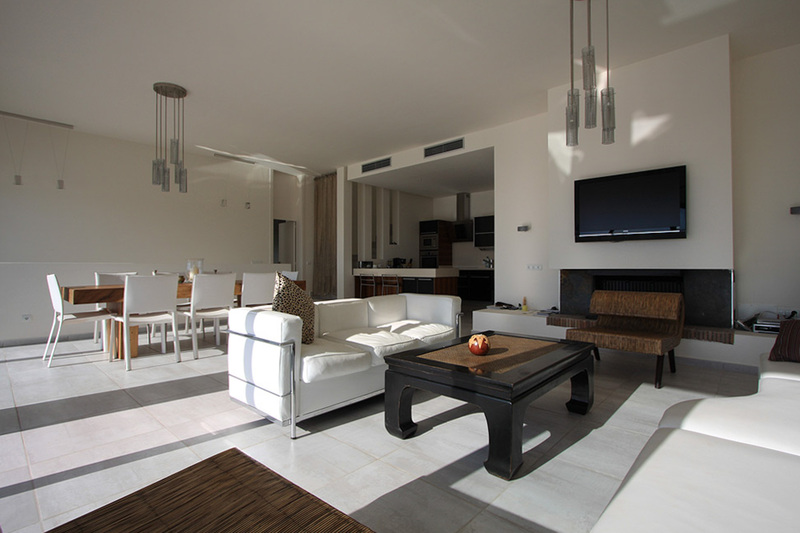 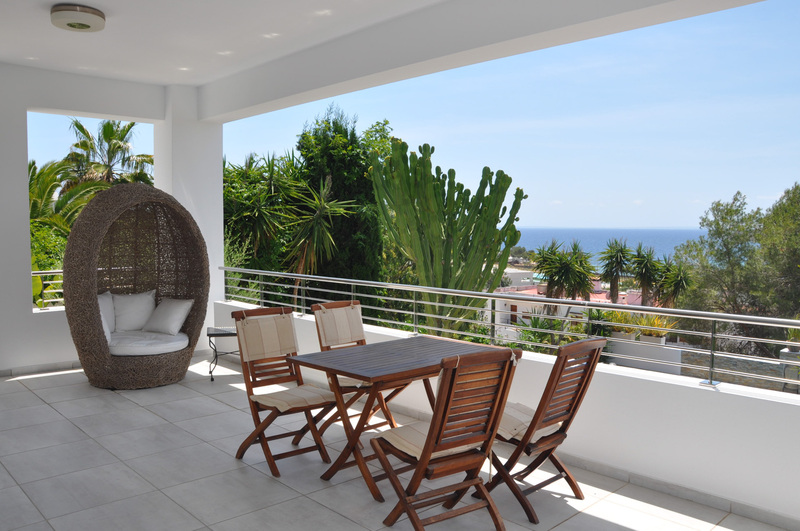 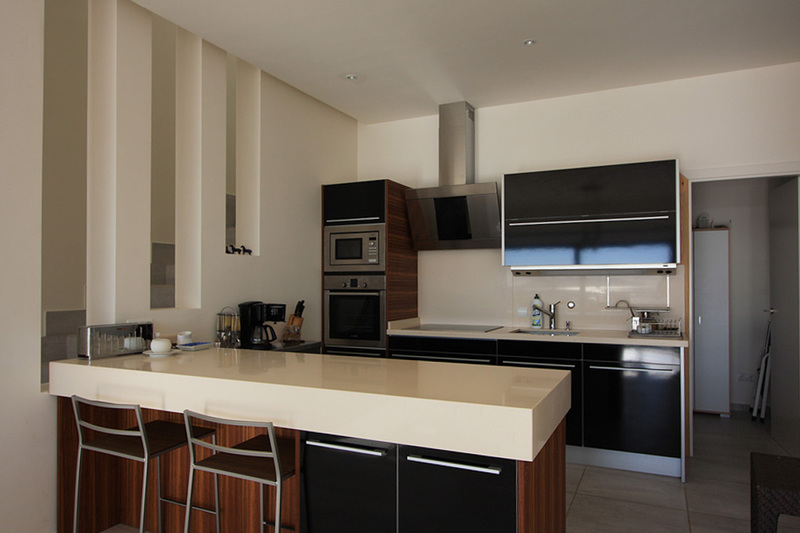 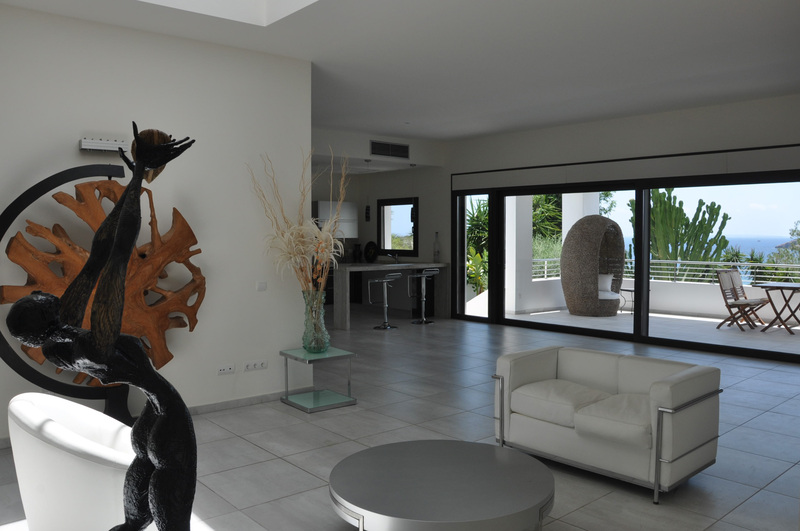 The large glass front offers you a wonderful view of Ibiza town and the sea in the living area. 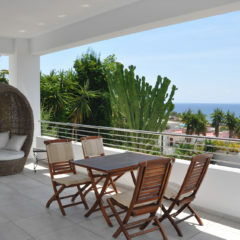 Take advantage of the opportunity and book the Villa Lightning Star now!